India has a worsening fighter plane gap; how should it manage it? Aero India 2019, the defence ministry’s biennial aerospace exposition being held in Bengaluru from Wednesday to Sunday, will begin on a sombre note. 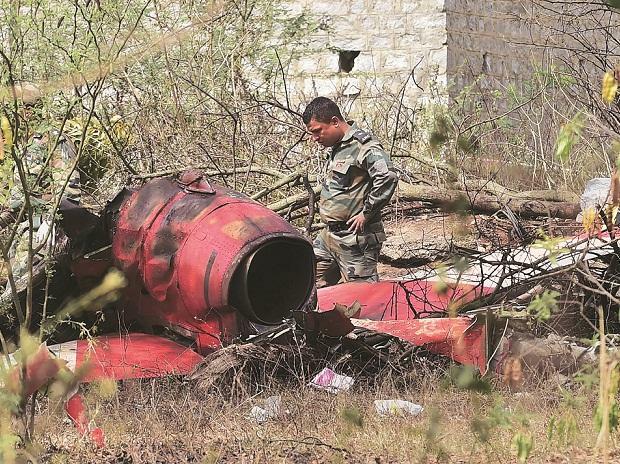 On Tuesday, two Hawk jets of the Indian Air Force’s (IAF’s) aerobatics team, Suryakiran, collided in mid-air, resulting in the death of a pilot and the hospitalisation of two more. The lead up to Aero India 2019 has been dogged by confusion. First, Defence Minister Nirmala Sitharaman decided to shift Aero India to Lucknow, even though it has always been held in Bengaluru, where suitable infrastructure exists. Field visits to the Lucknow airfield revealed its unsuitability but, by the time it was decided to retain Bengaluru as the venue, it was already November. Causing further confusion, the Defence Exhibition Organisation, which exists only to organise shows like Aero India, was divested of organisational responsibility and the defence ministry ordered Hindustan Aeronautics (HAL) to organise the entire show. Business Standard learns that over 200 employees from HAL have been diverted from their jobs since December to organise Aero India 2019. Eventually, 414 companies will be participating in Aero India 2019, 247 of them being Indian. For the first time, 45 French firms participating will comprise the largest foreign representation, many of them hoping to forge industrial partnerships to discharge offsets connected with the Rafale purchase. There are also 37 companies from the US, 23 from Russia, 19 from the UK and nine from Israel. Aero India shows from 2005 to 2015 were enlivened by the IAF’s then on-going procurement of 126 medium multi-role combat aircraft (MMRCA). All six vendors in the fray — Boeing and Lockheed Martin, MiG, Dassault, Saab and the Eurofighter GmbH — sent across their fighters to show off their aerobatics capabilities. That contest eventually ended as a damp squib, with the purchase of 36 Rafale fighters from Dassault. However, the IAF has re-initiated the procurement of fighters, calling for interest in building 114 medium fighters in India. All six of the MMRCA vendors have responded, and Sukhoi has joined them with an offer of its Sukhoi-35 fighter. Several vendors, however, say they have learned not to commit too much money into the early stages of an Indian procurement. Of the foreign fighters, only the Rafale and Boeing’s F/A-18E Super Hornet will be displaying aerobatics in Bengaluru. Also joining them will be the Tejas, which has steadily expanded its flight envelope. After Aero India, the Tejas will be going to Malaysia next month, where it will be demonstrating its aerobatics capabilities at the Langkawi Air Show. The Malaysian Air Force, which, like the IAF, flies an upgraded Sukhoi-30, is understood to be evaluating the Tejas and the Sino-Pakistani JF-17 Thunder in the light fighter category.